There’s something about fall that means baking, don’t you think? Of course, I bake all the time, for this site and for my pleasure. Summer meant a steady stream of fruit pies and crisps for potlucks and gatherings. But hot weather meant the baking had to happen early in the morning, not whenever I had the time. Now, with the light low and the air cool, I pull out the flour and baking powder, soda and salt from the baskets in our baking station and grab the scale and a big metal bowl. Time to bake. And since it’s fall, we can bake bread together, if you’re in the Seattle area. 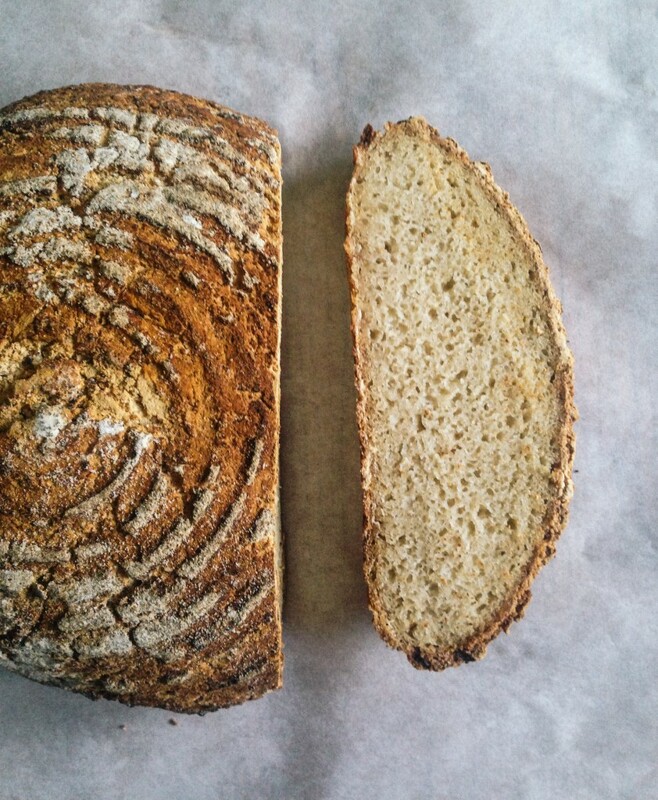 Register for the gluten-free bread baking class by following this link. Then, email me at shauna@glutenfreegirl.com to tell me which date you would like to attend. I’ll email you a confirmation and further details for the class. If you can’t make it to Seattle, remember that we have a great online baking series. It’s called Baking with the Gluten-Free Girl. We shot it last year with Craftsy in Denver, a remarkable team of people. We love this class. Thousands of people have taken it already and I hear from someone every day that this series helps him or her move into the kitchen and start baking. In the class, we teach you how to make great gluten-free cookies, cakes, muffins and quick breads, sandwich bread, pizza dough, and crusty artisan bread. And pie. What is life without pie? No need for deprivation here. We have you covered. The class is 50% off right now, only $19.99. And you can ask questions in the forum and I’ll answer them for everyone. We think you’ll love it. So think about a trip to Seattle soon. And if not, then learn to bake with me at Craftsy. As you can see, we love to teach. And to learn with you. We look forward to meeting you in one of these classes.